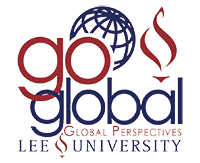 The links on this page contain information that will help you navigate the process of participating in your cross-cultural experience at Lee University. Overall, it is our hope that you will view the Lee University cross-cultural experience as an opportunity and not just a requirement. We challenge you to immerse yourself in another culture, and as you broaden your understanding of the world, you may be surprised by how it changes your perspective.